Supermarkets and You Spending More Money. Supermarkets, think there’s a reason, your mother told you to make a grocery list and stick to it. Every part of the supermarket from parking lot to checkout counter is designed to make you spend more money and buy more food than you need. Customers may go to the store for milk and come away with a pint of Ben & Jerry’s (it was on sale), a fresh baguette (it smelled so good), a bag of chips and salsa (for fun), a few cans of soup (while you’re here) and a magazine (Jennifer is dating who?!). Altogether the supermarket is retail nirvana. We’ll start with the shopping cart. This 1938 invention was designed to let customers make larger purchases more easily. 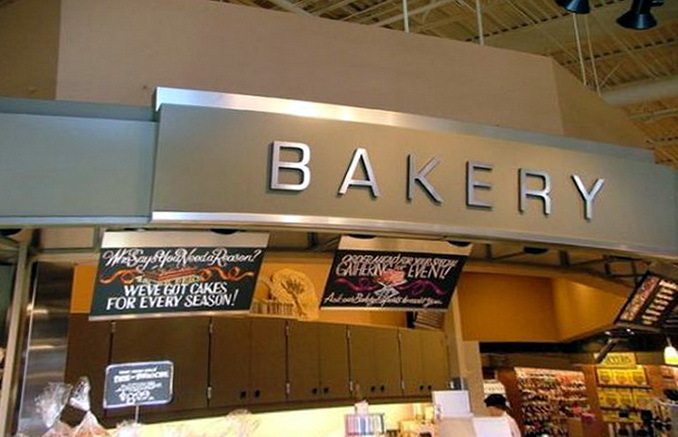 Most supermarkets put high margin departments like floral and fresh baked goods near the front door, so you encounter them when your cart is empty and your spirits are high. Another reason to start with flowers and baked goods is the smell, which activates your salivary glands and makes you more likely to make impulse purchases. Likewise these pleasant departments put you in a good mood and make you more willing to spend. Supermarkets hide dairy products and other essentials on the back wall so that you have to go through the whole store to get to them. Most stores move customers from right to left. 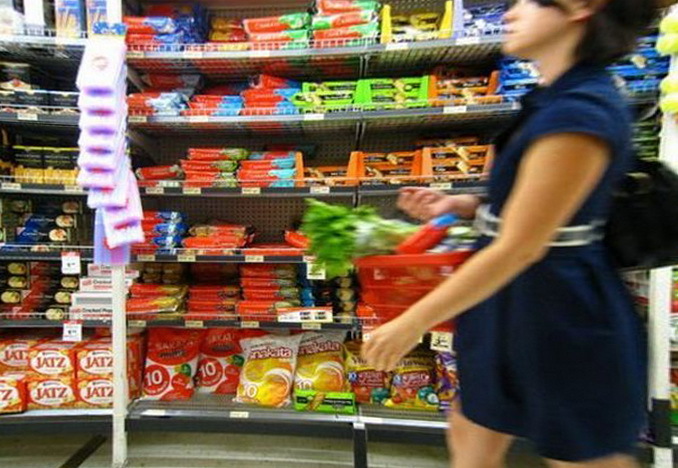 Due to this flow and and the practice of driving on the right side of the road, the items you are most likely to buy tend to be on the right hand of the aisle. The items the store really wants you to buy are at eye level. In the cereal aisle, for instance, bulk cereal is placed at the bottom. Healthy cereal is placed at the top. Expensive brand name cereal goes right at eye level. 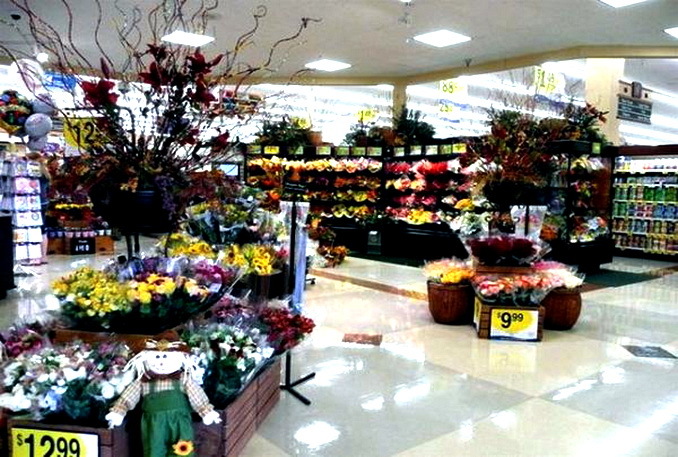 Favored items are also placed at the end of aisles. And then there’s kid eye level. This is where you’ll find sugary cereal, Easy Mac and other items a kid will grab and beg his parents to buy. Sample stations and other displays slow you down while exposing you to new products.
. Notably Asians are more tolerant of crowding, while the British are the least tolerant. Warm colors attract people to a store. Cool colors encourage more contemplation and higher sales. We suggest brick exterior and cool blue interior. Studies have shown that slow music makes people take their time and spend more money. 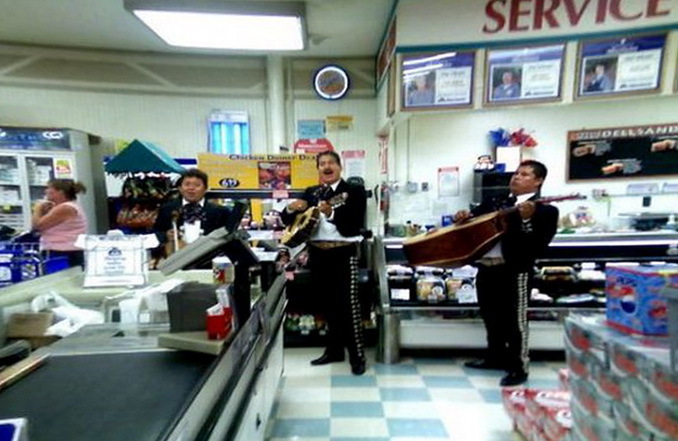 Loud music makes them move through the store quickly without affecting sales. And classical music leads people to buy more expensive merchandise. 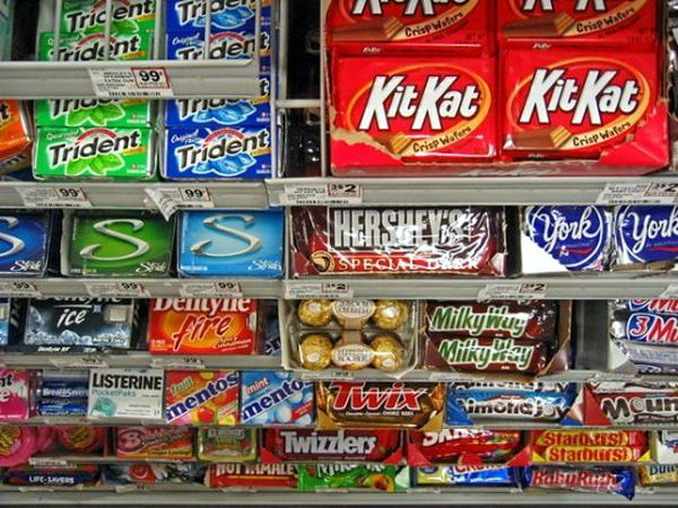 The most profitable area of the store is the checkout line. This is where after a few minutes in line you’ll succumb to the temptation of the candy rack and a magazine you’ve been leafing through. Time to present your Valued Shopper Card. While giving you the occasional deal, this card keeps you as a regular customer for the store. It also provides valuable tracking data. Previous Previous post: The first step towards creating a mind-reading device.